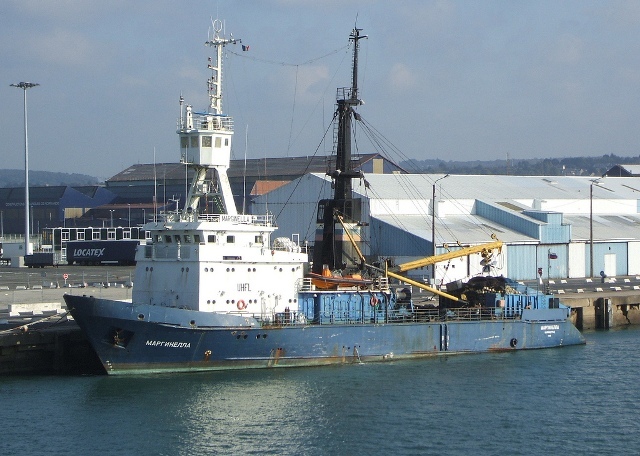 The Russian tuna seiner Marginella has been immobilized at Cherbourg since July 2007. After leaving Kaliningrad (Russia), she was heading towards South Africa via Ghana to fish bluefin and tropical tuna, under dubious conditions in regard with the conformity to the regulations of ICCAT (International Commission for the Conservation of Atlantic Tunas). She suffered outbreaks of fire in the machinery space in the North Sea and the English Channel, resulting in a total propulsion failure. She had to be towed to port by Abeille Liberté. Now reduced to a mere wreck and a barely floating object, the plan is to tow her to the port of Klaipeda (Lithuania). The only possible fate for the old tuna fishing trawler, built in 1895, is demolition. Klaipeda is a ship-breaking port for fishing vessels from Northern Europe. The voyage of 1700 km through busy and often dangerous sea routes exposes the Marginella to the risk of shipwreck. Consequently, Robin des Bois wishes for the demolition of the hull in a ship-breaking yard nearby, either a steady one like in Ghent, Belgium, or a one-time facility in Cherbourg. In terms of security, the latter would be the best option. Before her destruction, Marginella shall be subject to a mapping of asbestos aboard. The former Dutch barge Frisian Lady used to carry bulk on the Rhine river and inland waterways has been immobilized at Cherbourg since the beginning of November. 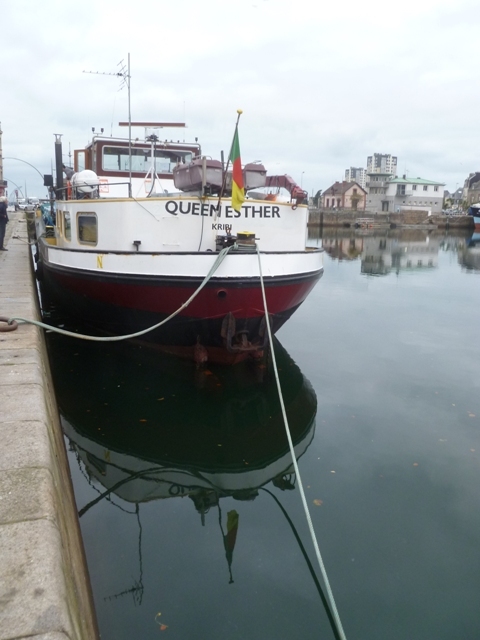 Renamed Queen Esther, homeport Kribi and flying the flag of Cameroon, she aimed to reach Africa after departing the English port of Portsmouth but was forced to take refuge in Cherbourg for security reasons. 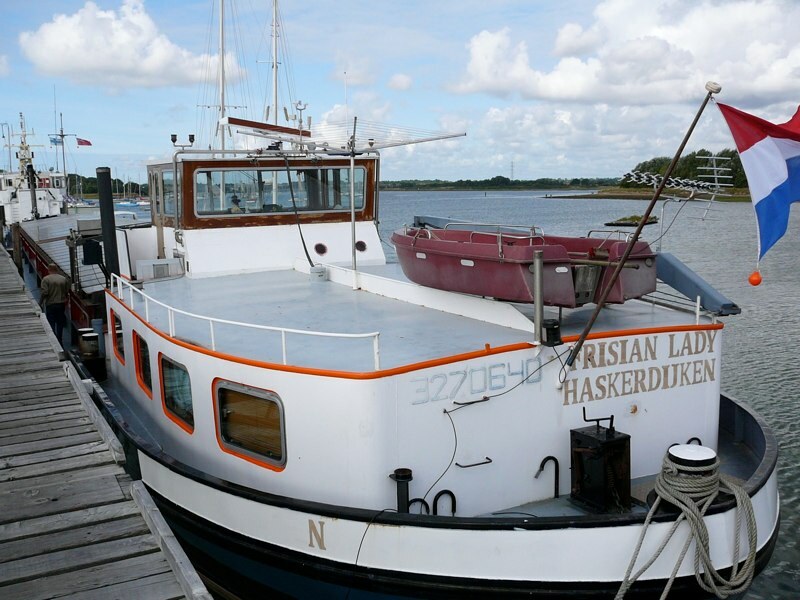 The former Frisian Lady had a commercial license to work in Europe in all inland waters until 2015. This type of riverboat, with a flat-bottom and a low draught, is obviously not designed to face a transocean voyage. Dozens of ships of this type are subject to transfers, in tow, which often results in shipwreck before their arrival in Africa (see more on this topic on page 4 of Ship-Breaking #33: “When European river barges sail at sea … and sink”); one of them, Vestland, sunk off the coast of Brittany in September 2011, and had 7 tons of fuel aboard. 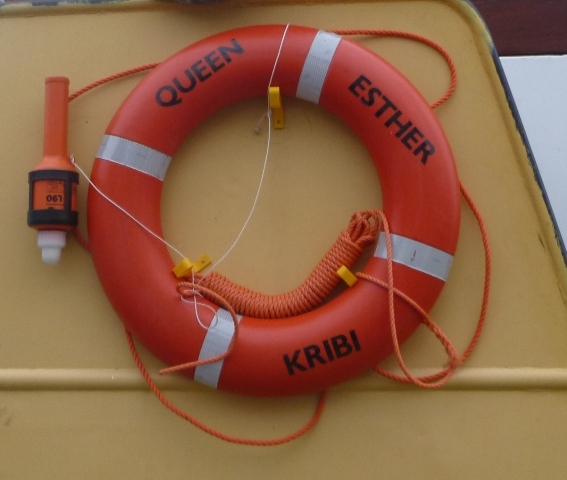 Should Queen Esther wrongly receive authorization to resume her journey, cross the Raz Blanchard, pass the Pointe du Raz, and sail through the Bay of Biscay to reach Cameroon, she will have three men and nine tons of oil aboard. Robin des Bois wrote to the Maritime Authorities of the Channel/North Sea and the Atlantic on November 25th asking for the prohibition of the transit of these ships through the French territorial waters and Exclusive Economic Zone. There is a much safer way to transfer these ships halfway around the world if the owners want to: through barge carriers, or heavy load carriers.